User have a drawing containing multiple point or circle objects and he would like to convert these to another entity type like a circle or point. To change points or circles manually, imagine you have 1000 circles you want to change these circles to points it is very hard work and it will take time. The following Lisp code will locate any point object in the drawing and draw a circle at its location where the center of the circle coincides with the point location. 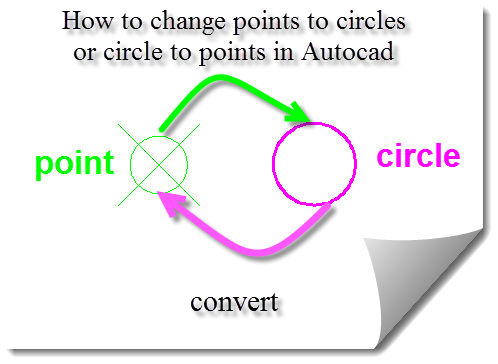 2-Type C2P to convert from multiple circle to multiple point or P2C to convert from points to circles. 4- Select objects (which will be circles or points) if it is from point to circles will ask circle radius. To download more free lisp for autocad drawing .